Critics are fond of saying Apple doesn’t innovate any more. But Apple’s new electronic payment system, Apple Pay, is innovation of the highest order. After a relatively smooth rollout this week, I honestly believe Apple Pay is the future of payments. Even so, Apple Pay must clear some big hurdles if it’s to become the universal standard. For now, it’s limited to Apple’s latest iPhones and a relatively small number of retail partners, but the basic system — using your fingerprint to validate a purchase on your mobile phone — is the way we will pay for goods and services in the future. Once again, Apple has shown the world how things should be done. The big difference between Apple Pay and other systems is that it’s user-centric. It’s not designed for the credit card companies or retailers (though it helps them too). It’s designed to make it easier for us, ordinary consumers, to pay for things. Apple Pay is truly a better way to pay. It’s better than cash; better than cards; and better than competing tap-to-pay systems like Google Wallet. Current card-based payment systems are pretty simple to use, but they aren’t as easy as Apple Pay — we’ve just gotten used to them. It sounds trivial, I know, but paying with plastic can be a pain. It often requires multiple steps. You swipe and type. Some terminals still require you to hit multiple checkboxes on multiple screens with a tethered electronic pen. It’s a pain, and there’s nothing more frustrating than waiting for some numbskull in front of you struggling to complete a transaction. With Apple Pay, you touch your iPhone to the terminal, brush the Home button with your thumb, and you’re done. That’s it. When I tried it this week at Whole Foods, I was genuinely surprised at how quick and easy it was. It was truly a futuristic moment, and I was instantly converted. Touch and done. Once again, Apple has set the bar. Yeah, touch-to-pay is nothing new. For many Android users, Google Checkout — now called Google Wallet — debuted in 2011. RIM’s BlackBerry handsets enabled NFC payments before Apple. And that’s just in the United States, which is late to the mobile. In Japan, mobile payments can be traced back more than a decade to 2004, when Japan’s mobile giant, NTT Docomo, debuted its Osaifu-Keitai system. It has become hugely popular and has morphed into Japan’s de facto standard, supporting a wide variety of e-money and e-ticketing functions, including ID and access cards, credit and store loyalty programs, and paying for public transit. In Africa and other developing nations, paying by phone is also common. The popular M-Pesa system (“M” for “mobile,” and “Pesa” means “money” in Swahili), which launched in Kenya and Tanzania in 2007, has become one of the world’s most popular mobile payments system, with an estimated 17 million users in Kenya, or 70 percent of the country’s adult population. While Apple Pay is better than what’s come before, it must become universal before it can replace your wallet or purse. It has to be accepted everywhere — and there’s the rub. This is the hardest problem facing Apple, but the company has some big advantages. 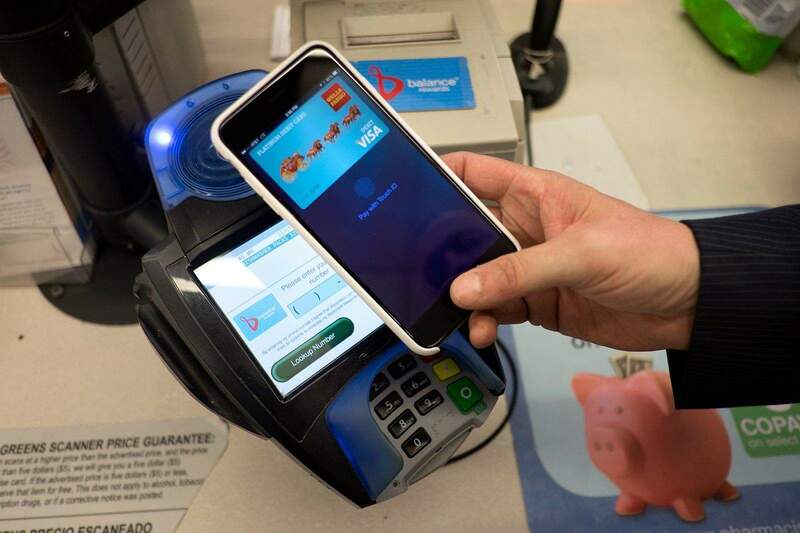 At the moment, Apple Pay can be used in about 220,000 stores in the United States. Sounds like a lot, but it’s mostly big chains and a fraction of the estimated 3.8 million retail establishments, according to the National Retail Federation. But Apple’s timing is impeccable. 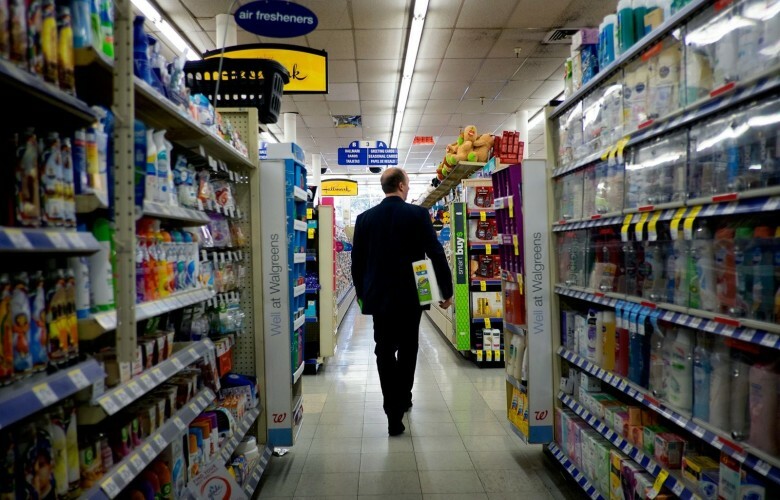 U.S. retail is about to undergo a huge upgrade. Unwilling to bear the costs of fraud any longer, the credit card industry is compelling merchants to switch to EMV terminals (the acronym stands for Europay, MasterCard and Visa). Already the standard in the rest of the world, EMV terminals utilize encryption chips embedded on credit cards to make transactions far more secure. Merchants must upgrade terminals to EMV by the end of 2015 or bear the cost of big increases in fraud liability. Indeed, one projection estimated that nearly 90 percent of retailers will have NFC capabilities by 2017. Apple’s timing couldn’t have been better. Or, more likely, Apple Pay was rolled out in anticipation of this huge change. Earlier this week, Cult of Mac field-tested Google Wallet against Apple Pay. Both systems worked flawlessly; Google Wallet was just as easy as Apple Pay. But Google’s system has failed to get traction because of fumbled partnerships. When it first launched, Google Wallet was available only on one phone (Nexus S 4G), one network (Sprint) and one card (Citi MasterCard). While Google has subsequently expanded to more phones, carriers and cards, the system hasn’t gained critical mass. Apple meanwhile signed up all of the big eight major credit cards and banks, and says 500 more banks are coming to Apple Pay. Mobile Payments is already a crowded marketplace, with several competing systems from big tech companies, telecom providers and consortiums of merchants. Perhaps Apple’s biggest competitor is the Merchant Customer Exchange, or MCX, a mobile payments system from major retailers like Target, Walmart, Lowe’s, Best Buy, 7-Eleven and CVS. It works via the free CurrentC mobile wallet, which allows users to pay at participating outlets and earn loyalty rewards and get deals. MCX members Best Buy and Walmart have said they will not support Apple Pay. But whereas the MCX system seems to want to replace credit cards altogether, Apple has partnered with the most powerful group in payments — the credit card companies and banks. The clever part of Apple Pay is that it doesn’t take the credit cards out of the picture — it just replaces the plastic part. It replaces the weakest part of their system — the card and its easily-stolen number — with a secure alternative that people take with them everywhere. As Tim Cook has pointed out, credit cards are decades old and increasingly open to fraud, as huge recent data breaches at Target and Home Depot have shown. Like Google Wallet, Apple Pay doesn’t actually transmit any credit card details. Instead it generates and sends a “Device Account Number” and a single-use code, which is good for one transaction and one transaction only. The code and Device Account Number are generated by iPhone’s Secure Element, a special chip that stores the user’s credit card details. This information is “walled off from iOS, is never stored on Apple Pay servers, and is never backed up to iCloud,” according to Apple. This so-called “tokenization” system wasn’t developed by Apple, and is in fact part of the NFC specification. It’s considered the gold standard in electronic payments. Even if hackers get their hands on troves of codes, as they have done with credit card numbers, the codes have already expired. Apple Pay goes one step beyond Google Pay by combining tokenization with biometrics. So far, only Apple’s latest iPhones have the Touch ID fingerprint scanner necessary to validate payments. The credit card industry has called it the strongest system so far. “ApplePay is the best, most secure payments mechanism ever released,” wrote Tom Noyes, a mobile payments expert and entrepreneur. Another big advantage for Apple is its systems built-in privacy controls. Apple Pay is anonymous, transmitting only a one-time code instead of details about the customer. This is good for consumers, but not so good for stores, which like to build profiles of their customers to offer deals and get them to spend more money. One of the loudest criticisms against Apple Pay is its lack of support for loyalty programs. Cupertino might have a solution up its sleeve, though. Apple is rumored to be preparing a loyalty program based on iBeacon technology. When visiting a participating merchant, iBeacons and Bluetooth LE could push targeted ads to the consumer’s phone, offering deals or rewards for making a tap-to-buy purchase using Apple PAy. The system was rumored to roll out next year, but one report says Apple may be rushing it out in advance of the holidays. If so, it seems like a big incentive to use Apple Pay. Most of the criticism of Apple Pay this week is based upon the failure of previous mobile payment systems. Google Wallet failed — ergo Apple will too. But previous mobile payment systems failed because they tried to replace one or more parts of the existing system. Apple has cleverly partnered with the credit card companies — and appears to have solutions for merchants up its sleeve — making Apple Pay a value-add, not a replacement. Just as with the MP3 player, the tablet and the smartphone, Apple is not the first to the mobile payments scene. But it has the right combination of technology, marketing and commercial muscle to bring mobile payments to the mainstream. That’s exactly what Apple has done in combining a mobile phone with NFC, biometrics with tokenization, and partnerships with banks and merchants. In the process, it’s created a payment system that’s incredibly easy and convenient. Apple knows it’s not necessarily about who does something first when it comes to emerging technology. It’s about who does it right. That’s what Apple’s latest innovation is. Apple Pay is mobile payments done right.